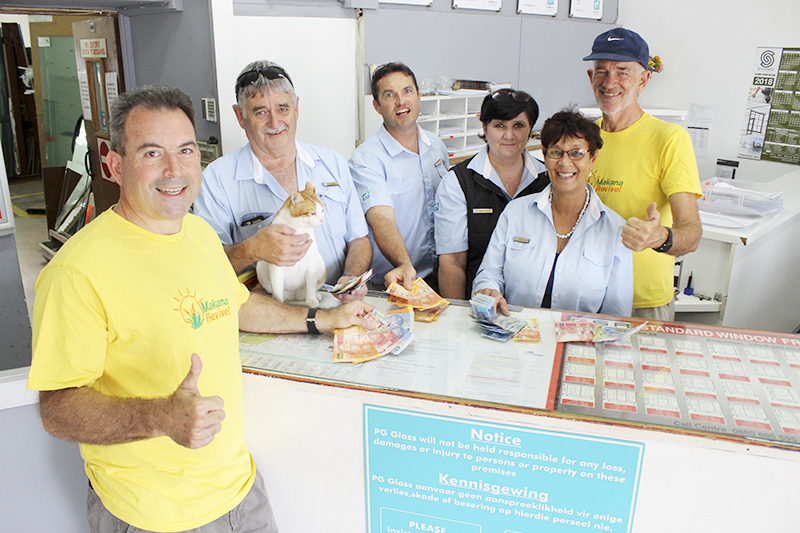 When Grahamstown’s most famous feline hit the fundraising trail last week, his owner, Grahamstown businessperson Tim Dold, never imagined Shattercat would get much past the R10 000 mark, let alone crack the R12 300 he’d raised by yesterday. Two weeks ago, a plan long in the making finally came together. Funded by donations from Grahamstown residents and businesses, citizen action group Makana Revive hired a Jetpatcher machine from East London to professionally repair some of Grahamstown’s notorious potholes. Starting in Albert Street in Fingo Village, the four-person team has gone on to deal with main CBD access roads High Street and African Street, as well as Templeton Drive and Park Road, among others. The work began in the week Makana Municipality announced they had just received R3.5 million of their equitable share to rehabilitate roads around Grahamstown, with the support of Mamlambo Construction. Then, after just two days in office, acting municipal manager Ted Pillay confirmed he would be budgeting close on half a million rands to secure the Jetpetcher’s services for a further three weeks and see through what citizens started. The Jetpatcher, working optimally, has the capacity to fill 10 cubic metres a day, provided it has the support of ground staff. That’s 150-200 potholes a day, said Makana Revive spokesperson Ron Weissenberg. Some of the potholes are so big that one alone can swallow half a cubic metre of the tar and aggregate mix. It had also been difficult to secure reliable municipal input, Weissenberg said and in addition to the R20 000 a day cost of the machine and its crew, Makana Revive has also been forking our R3000 a week hiring casual labour to provide the logistical support the operation requires. The machine operates Monday to Friday, and when the additional support staff isn’t available, expert time is wasted on sweeping and clearing the road surface before and after the operation. There has been an overwhelmingly positive response to the initiative, with the Makana Revive coalition (the Grahamstown Residents Association and Grahamstown Business Forum are among the groups that have combined forces under its umbrella) hailed as heroes and individuals and businesses willingly putting their hands into their pockets to support it. 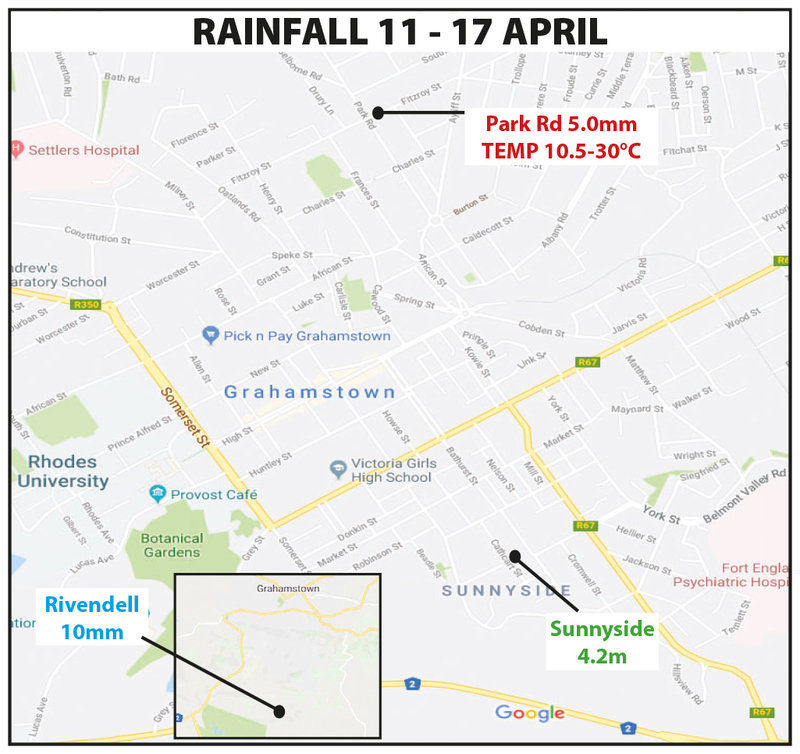 But it’s clear that it will need to continue well beyond the three additional weeks that Pillay’s commitment has bought, and Weissenberg said they were considering establishing a permanent pothole repair unit in Grahamstown. He said the plan was to recruit a team from the local community who would be trained by a civil engineer and work fulltime as a pothole repair unit. “The team would continue fixing potholes until we run out of funds,” Weissenberg said. 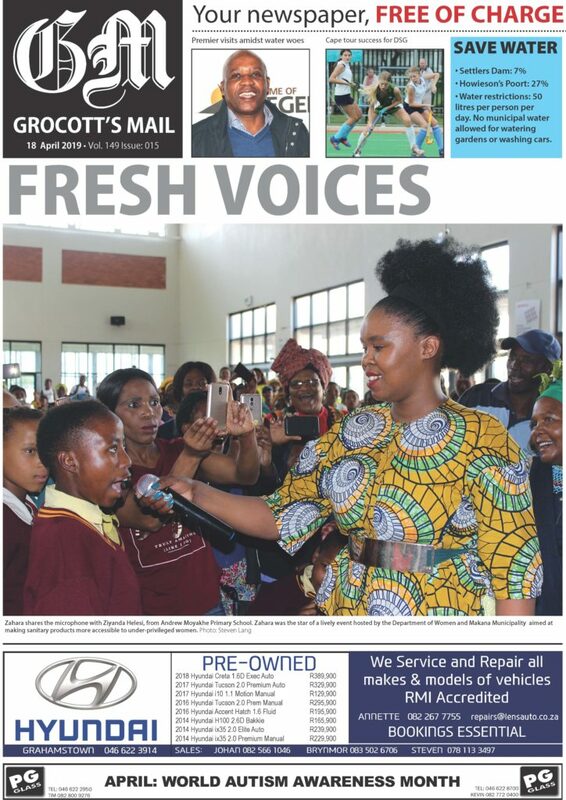 Shattercat – PG Glass Grahamstown’s most famous staff member – put his weight fully behind the campaign after business owner Tim Dold promised him a week of roasts and his photograph on the front page of Grocott’s Mail if he raised R10 000 for the potholes fund. To Dold’s alarm, people came to donate to the pothole fund within hours of Shattercat’s call on social media. Shattercat surpassed the target in less than a week and Dold was obliged to reveal his rash promise to the Grocott’s Mail editor. By yesterday, with R12 380 banked in the Makana Revive account, Shattercat had solicited around 30 willing donors. Now Dold has challenged Shattercat to reach the target of R20 000 by the end of this week – and it looks like the fame alone will be enough encouragement for the feline fundraiser. Dold said members of the public were welcome to drop off their donations to the fund at PG Glass in Bathurst Street (and don’t forget to greet Shattercat while you’re there!). Donors get a receipt and the funds are deposited into the Makana Revive account on their behalf.